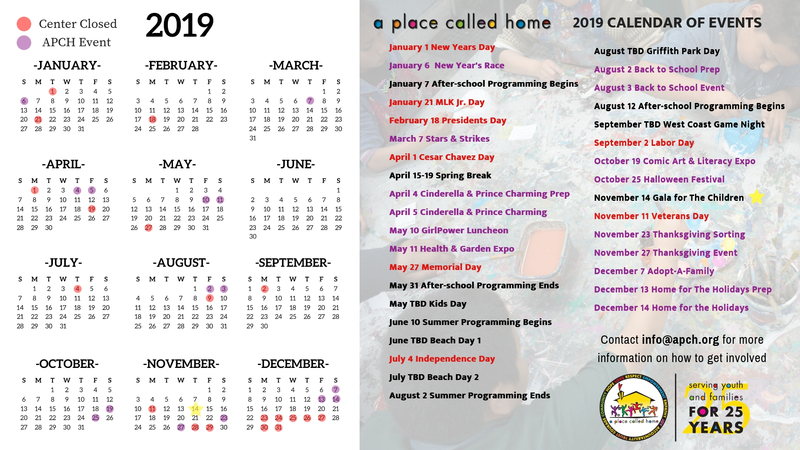 A Place Called Home is a safe haven in South Central Los Angeles where underserved youth are empowered to take ownership of the quality and direction of their lives through programs in education, arts, and well-being and are inspired to make a meaningful difference in their community and the world. 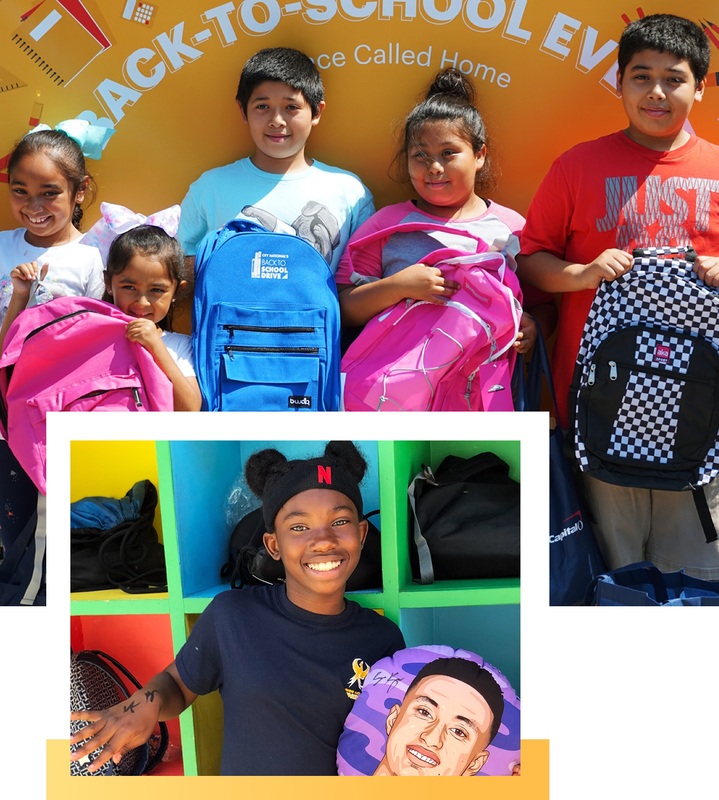 Your investment will help transform lives of hundreds of youth and families every day. Call (323) 238-2405 and our staff will assist you with the process and answer any questions you may have. If you have a donor advised fund (DAF), please recommend a grant to A Place Called Home. Disclaimer – For informational purposes only. A Place Called Home does not provide legal or tax advisory service. Please consult an attorney who is familiar with the estate laws of the state where you live to draft your will or codicil. In-Kind contributions of goods and services help APCH reduce costs and supplement the programs we offer. Help us fulfill our mission by contributing what you can. Please note, we do not accept delivery of non-essential items from June 1st to July 1st. Formal suits for men and women, new shoes and make-up, accessories, and evening gowns. 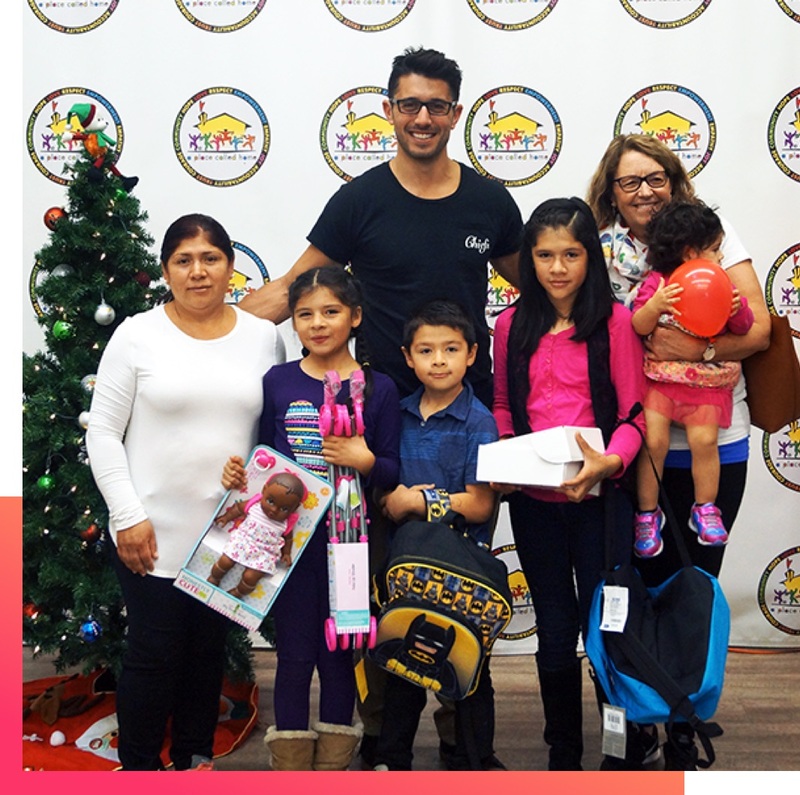 Adopt local families and provide them with gifts and toys for the holidays! Please fill out this interest form to learn more about our Adopt-a-Family program. You can easily help A Place Called Home provide services to our members and their families through your everyday purchases and habits. Check out our Affinity Programs! Amazon will donate 0.5% of the price of your eligible purchases at AmazonSmile (smile.amazon.com) at no cost to you – it’s the same Amazon you use every day, but with a smile! Go to smile.amazon.com and sign in using your regular Amazon account or create an Amazon account. Pick A Place Called Home as your charitable organization, and bookmark smile.amazon.com so you remember to start your shopping there. Bead Relief makes the coolest bracelets and anklets to raise awareness and donations for APCH! For every bracelet you purchase, Bead Relief will donate 25% of the sale to APCH! eBay Giving Works enables sellers to donate a portion of their sales and buyers to shop while supporting their favorite charities. By following APCH on Giving Works, you can see items that have been listed to support our work. Why not support APCH with your weekly trip to the supermarket? Thanks to Food 4 Less and Ralphs grocery stores, you can donate to APCH, and it won’t cost you a penny. Just join the Food 4 Less / Ralphs Community Rewards program, and from then on, up to 4% of your purchases at Food 4 Less or Ralphs will automatically be credited to APCH. The easiest way to register is to download the APCH ScanBar letter from the links below and take it with you to Food 4 Less or Ralphs for the checker to scan. That’s it. You shop as usual but now you are transforming lives! To register your rewards card online, simply follow these Food 4 Less Community Rewards instructions. To register your rewards card online, simply follow these Ralphs Community Rewards instructions. A Place Called Home is a 501(c)3 non-profit corporation. Your donation is tax-deductible to the full extent of the law (tax ID# 95-4427291). We will not sell, share or trade our donors’ names or personal information with any other entity, nor send mailings to our donors on behalf of other organizations. This policy applies to all information received by A Place Called Home, both online and offline, on any platform (“platform” includes the A Place Called Home website and mobile applications), as well as any electronic, written, or oral communications. To the extent any donations are processed through a third-party service provider, our donors’ information will only be used for purposes necessary to process the donation. Error: Error validating access token: Session has expired on Saturday, 30-Mar-19 20:14:28 PDT. The current time is Tuesday, 23-Apr-19 19:23:07 PDT.